Where to Buy 3M 2097, 3M 2097 Particulate Filter P100 - Pack of 2 - $10.25 for Sale with Fast Free Shipping! 3M 2097 Particulate Filter P100 - Pack of 2 works with a wide range of facepieces, including 3M Half and Full Facepieces 6000 (6800, 6900), 7000 and FF-400 Series. 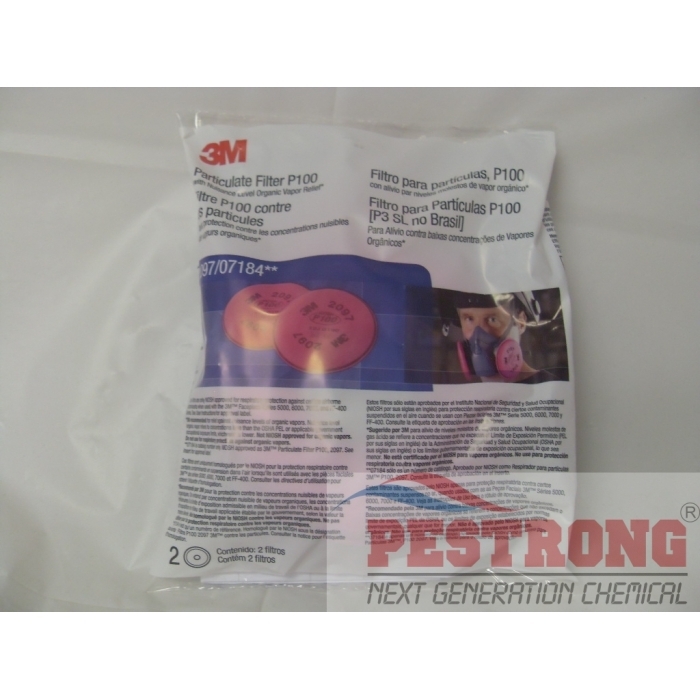 3M recommended for nuisance level organic vapor relief and for ozone protection up to 10X OSHA PEL. This consists one pack of 2. I work with a lot of powdery products. These filter pads block a massive amount of particles that allows me to breathe safely.